← When silence is golden… The tacit admission. Leaders, Loners and the Art of Jury Selection. Often times you cannot eliminate troublesome jurors. This can be a real problem since developing challenges for cause against an unfavorable juror can be difficult and at times impossible. In such cases, you want to use your peremptory challenges against such persons if they will affect the outcome of your case. In federal capital cases, both the government and the defendant are allowed twenty (20) peremptory challenges. In non-capital felony cases, the defendant is granted ten (10) peremptory challenges and the government is allowed only six (6). In misdemeanor and civil cases, each side has three (3) peremptory challenges. Federal Rule of Criminal Procedure 24 and Federal Rule of Civil Procedure 47; 28 U.S. Code § 1870, Challenges. So how does one make the best use of their peremtory challenges? Well if you cannot get rid of the juror for cause, then you have to figure out which jurors to focus on for purposes of exercising your peremptory challenges. I suggest that you focus on persons who are either loners or leaders. 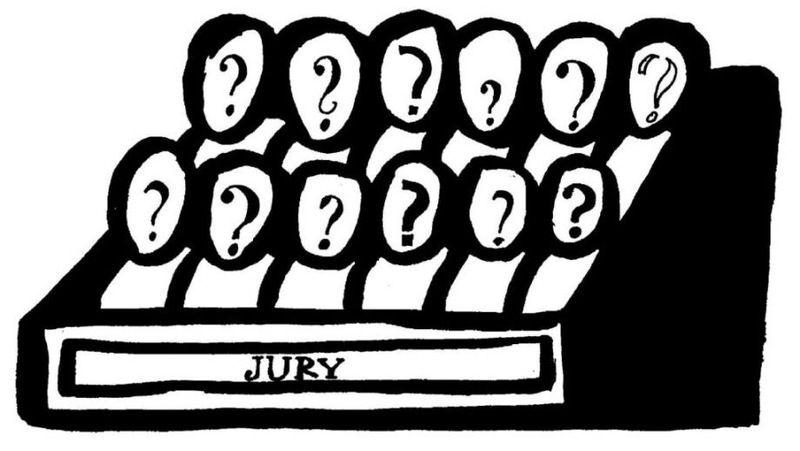 The bulk of people who make up juries are essentually followers. They will tend to go with the flow. Ultimately persons who are natural leaders will exercise the greatest influence over the juror’s deliberations. It’s important to identify persons who either have leadership qualities or background traits which will lead other jurors to look to them for guidance. If a person has had prior jury service, then other jurors will naturally look to them for guidance as to what is happening in the court room and how to handle their deliberations. Likewise, persons who have assumed the role of leadership in either their profession or in outside organization will have the greatest likelihood of assuming a leadership role on the jury. Person who meet this criteria deserve special attention and need to be thoroughly questioned to make sure that they will not be a problem for your case. Persons who are potential “loners” also need to be thoroughly questioned since they could hold up deliberations or force an undesirable compromise. Loners have a tendency to stand their ground and be unwilling to compromise or conform to the wishes of the larger group. I have had more than one jury where I have learned after the fact that a lone juror was a hold out for a particular verdict. Their staunch and unyielding position results in either a compromise verdict or a hung jury. When trying to identify a loner, you need to identify whether or not the person choses voluntarily to be a loner or is forced by circumstances to be a loner. Those who voluntarily decide to be a loner, act as a nonconformist and set themselves apart from the rest of society, can be a potential problem. Such persons are used to standing alone and may hold out for a particular verdict even though their opinion is unpopular and outnumbered by others. Ultimately, you want to use your peremtory challenges on persons who will likely effect the outcome of your jury’s deliberations in an adverse fashion. So first look for the “leaders” and “loners” in your next jury panel. Posted on June 29, 2016, in Jury Selection and tagged Jury selection, leaders and loners, peremptory challenges. Bookmark the permalink. Leave a comment.